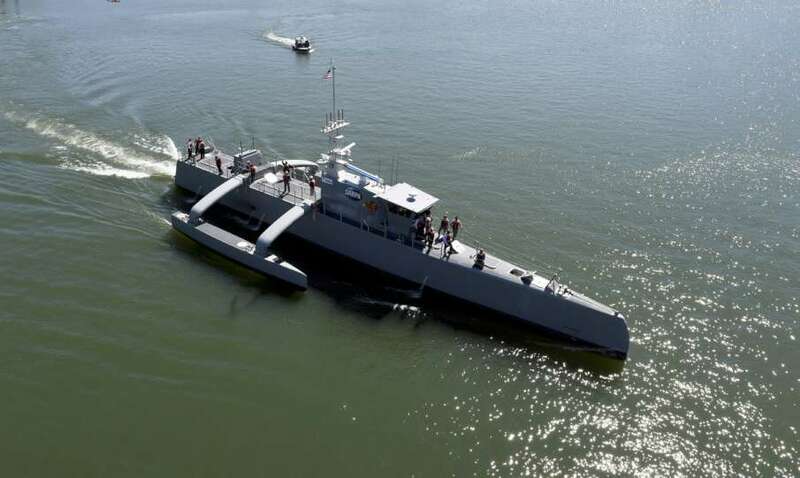 America’s so-called Sea Hunter has taken a major step forward. The resulting prototype is a 140-ton ship that is 132 feet long, making it the largest unmanned ship ever built. The ship can reportedly also reach speeds of twenty-seven knots. Further work on ACTUV, including building new ships, will be handled by the the Office of Naval Research (ONR), which became a partner on the program in 2014. DARPA itself began work on the program around 2010. Joint testing began in 2016. “ONR will continue developing the revolutionary prototype vehicle—the first of what could ultimately become an entirely new class of ocean-going vessel able to traverse thousands of kilometers over open seas for months at a time, without a single crew member aboard—as the Medium Displacement Unmanned Surface Vehicle (MDUSV),” DARPA said in a statement announcing the transfer. Although, as the name suggests, the ACTUV system’s main mission is expected to be ASW. DARPA and ONR also tested the ship on other missions by using different modular payloads. One particular interesting prospect is using the Sea Hunter and future ships to conduct mine-clearing missions, which wouldn’t require putting sailors’ lives at risk. According to DARPA, the prototype vessel completed tests using a mine countermeasures (MCM) payload in August 2017.